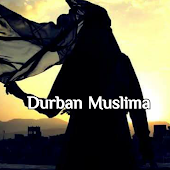 Durban Muslima: ANGEL JIBREEL (A.S) (GABRIEL) CAME 4 TIMES VERY RAPIDLY TO THE PROPHETS!! ANGEL JIBREEL (A.S) (GABRIEL) CAME 4 TIMES VERY RAPIDLY TO THE PROPHETS!! One day Rasulullah S.A.W asked Jibreel A.S , "Have you ever travelled at full speed?" Jibreel A. S said, "Yes, on four occasions." Rasulullah S.A.W asked, "What were the four occasions?" Jibreel A.S said, "First time was when Prophet Ibrahim A. S was placed in Nimrud's fire. At the time I was near the Arsh-Throne. Allah SWT ordered me to cool the fire. I left the Arsh and descended seven heavens in time. The Second time was when Prophet Ibrahim A.S was about to sacrifice his son Ishmael A.S in Mina. Allah SWT ordered me to replace his son with a lamb, before Ibrahim struck with his knife. The third time was when, the brothers of Yusuf A.S threw him into the well. Allah S.W.T ordered me to save Yusuf A.S I rushed and placed my wing underneath Yusuf A.S before he reached the bottom of the well. And the final time was when you, Ya Rasulullah S.A.W injured your tooth at the battle of Uhud. Allah S.W.T ordered me to stop your blood reaching the ground, otherwise no plant or tree would grow, till the end of the world. Hearing this, I rushed and saved your blood with my wings."